As the Facility Engineer Cleofus manages the enhancements of the worship center and school by maintaining the overall condition of the campus and other properties. He trypically lends a hand with the preparations of each of the events being held by the church & school. Cleofus consistently considers innovative and inventive ways of improving the entire campus. 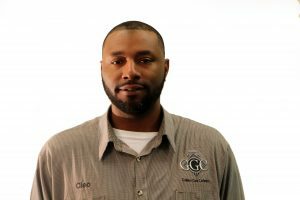 Coming from a family with a strong background in carpentery, Cleofus has a wealth of experience as he has been involved in construction and carpentry his entire life. To improve his effectiveness, Cleofus also acquired plumbing, electrical, and computer skills. When he is not working to make improvements alround the campus, he loves to travel. He trys to make it to the beack very year, but will also travel to New Orleans with his wife as a quick getaway. Cleofus is also passionate about making and listening to music. Music is the one thing he can do all day and never get tired of it.